Your child and student will need to know the properties of different 2D shapes. 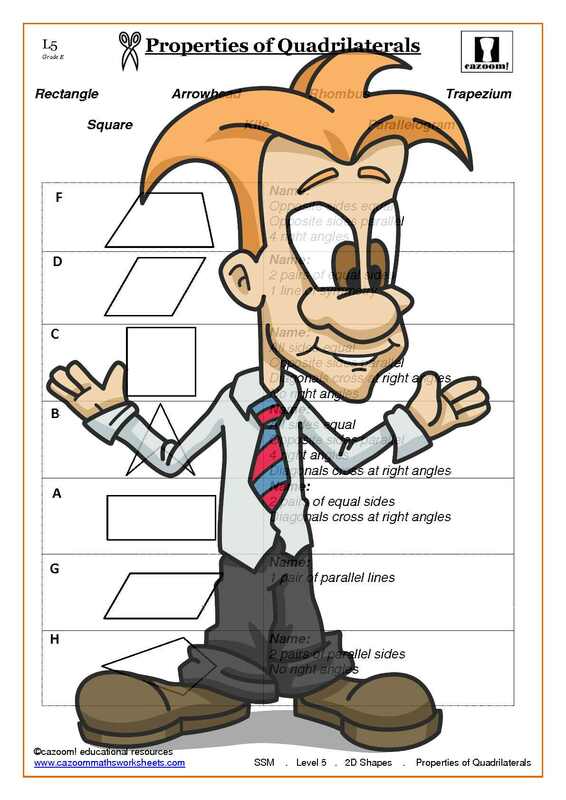 At Cazoom Maths we have provided you with a number of various worksheets and answers to help find the properties of quadrilaterals. We have also supplied you with a worksheet providing the different formulas for calculating the area and perimeter for a number of different 2D shapes. 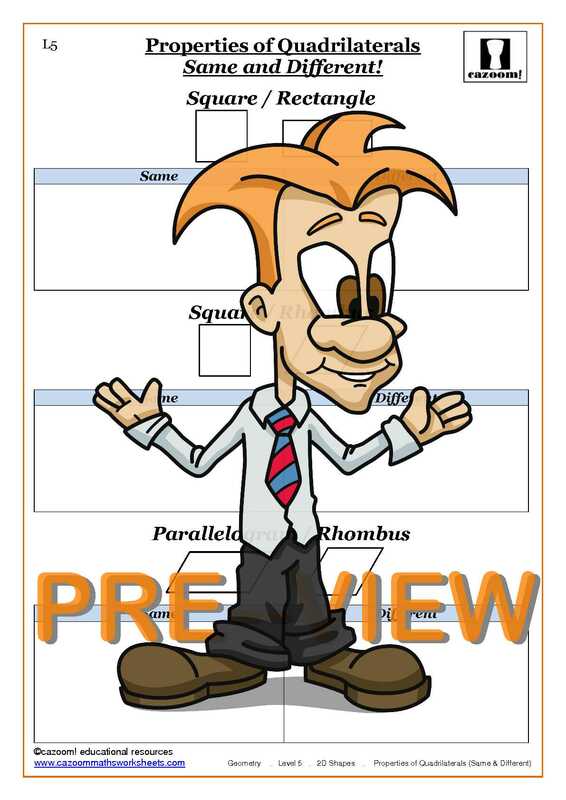 Cazoom Maths offer worksheets ranging from levels 4, 5 and 6, therefore suitable for all abilities. 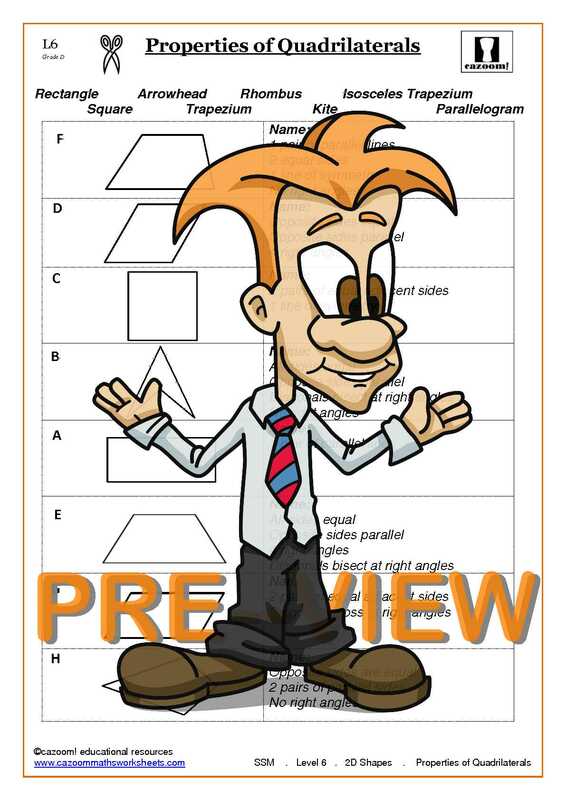 Our worksheets with answers will be sure to help your child or student to calculate the properties of various 2D shapes. 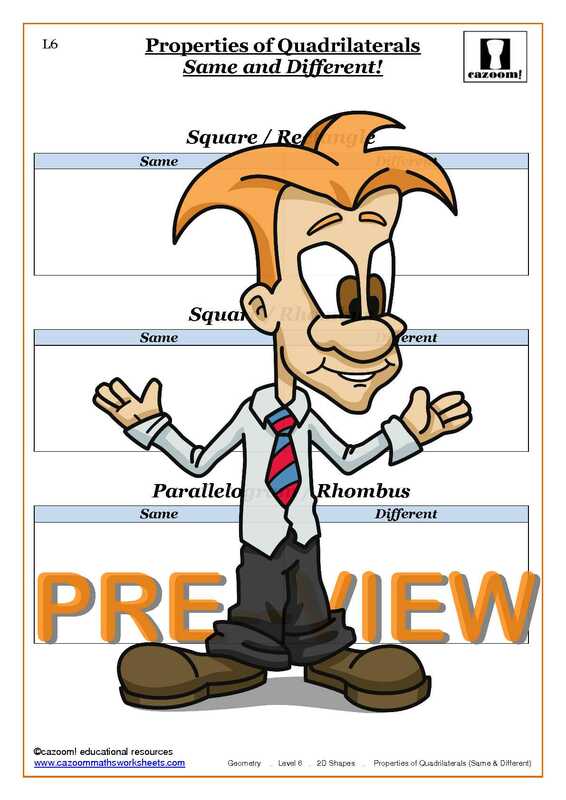 Cazoom Maths have also included a formula sheet to help with finding out the area and perimeter of different quadrilaterals. Worksheets are catered to fit any ability for KS3 and KS4.